The state Department of Health is in the process of amending Hawaii Administrative Rules, Title 11, Chapter 62, Wastewater Systems (HAR 11-62). DOH is proposing amendments to HAR 11-62 that would prohibit the construction of new cesspools in order to protect public health and preserve our natural resources. DOH is not proposing to require upgrades of existing cesspools in these rules. DOH is also proposing amendments needed to implement Act 120, which involves providing a temporary income tax credit for the cost of upgrade or converting a qualified cesspool to a septic tank system or an aerobic treatment unit system, or connecting to a sewer system. A taxpayer may apply for a tax credit of up to $10,000 for each qualified cesspool. Please refer to the attached documents for additional information on the proposal to prohibit the construction of new cesspools and the implementation of Act 120. For more information on HAR 11-62 amendments, please contact the Wastewater Branch at (808) 586-4294. The public hearing tonight at 6 p.m. in the Council Chamber is arranged by the Hawaii State Dept. of Health. Officials say only oral & written testimony will be accepted, emails will be filed but won’t be official, unless a PDF attachment of the testimony is included. Written statements postmarked by Friday, Oct. 17 or sent earlier will have better chances of being included in the public record. Attached PDF testimonies may be emailed to wwb@doh.hawaii.gov. You may also fax your testimony to (808) 586-4300. Oral and written comments will now be accepted at all scheduled informational meetings on the proposed cesspool rules, a representative from State Department of Health announced today. 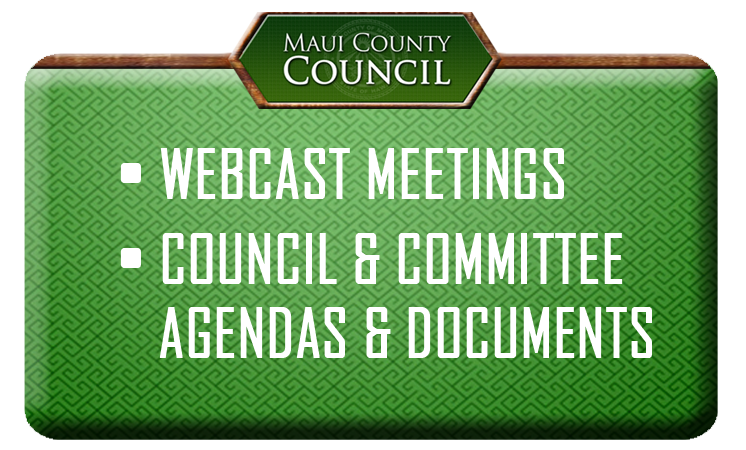 Council Chamber in Wailuku – Wednesday, Oct. 15 at 6 p.m.
Kaunakakai Gymnasium, Molokai – Friday, Oct. 10 at 5 p.m.